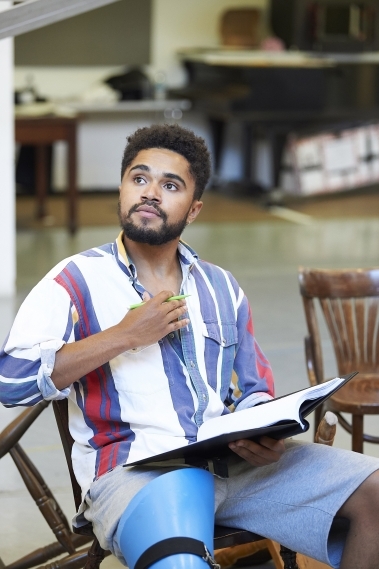 Co-producers Bristol Old Vic, The Royal Lyceum Theatre Edinburgh, Royal & Derngate, Northampton and Fuel have today released rehearsal photography for their world premiere production Touching the Void. Bristol Old Vic's Tom Morris (The Grinning Man, Swallows & Amazons, War Horse) directs the first stage version of Touching the Void, adapted by Royal Lyceum's David Greig (The Events, The Suppliant Women,Charlie and the Chocolate Factory) from the award-winning memoir by Joe Simpson, which also became a BAFTA-winning film. They are joined by Designer by Ti Green, Sound Designer and Composer Jon Nicholls, Lighting Designer Chris Davey and Movement Director Sascha Milavic Davies. The production will run at Bristol Old Vic from 8 Sep – 6 Oct, before going onto Royal & Derngate, Northampton (9–20 Oct), reaching The Lyceum (24 Jan until 16 Feb 2019) and subsequent national and international tour dates. Rising stars Josh Williams and Edward Hayter will play climbers Joe Simpson and Simon Yates respectively in this world premiere. 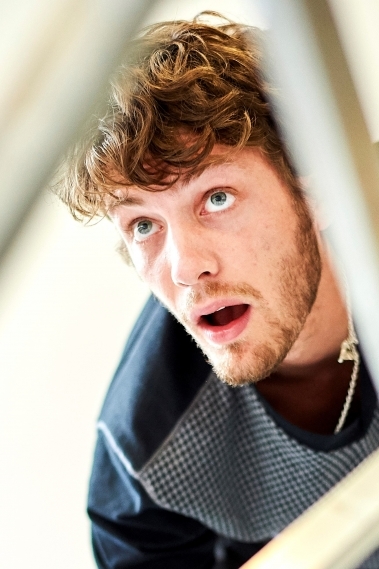 Josh Williams has been taking the UK theatre by storm since his professional debut aged 17 in Our Private Life (Royal Court Theatre), closely followed by Lord of the Flies(Regent’s Park Open Air Theatre). He has gone on to star in Caryl Churchill’s Love and Information (Royal Court Theatre), New Views: Is there a WIFI in heaven? 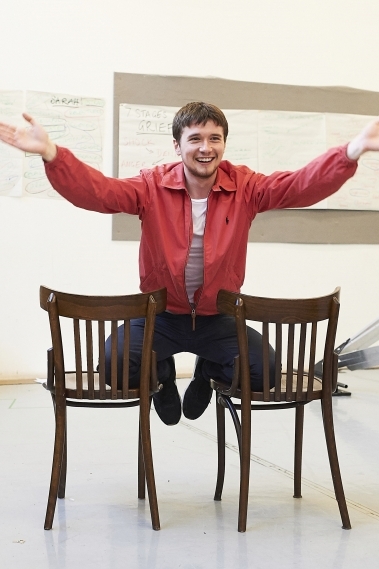 (National Theatre), Shivered (Southwark Playhouse)and RSC’s Wendy and Peter Pan. He recently appeared in the Olivier-nominated new play One Night in Miami (Donmar) directed by Kwame Kwei-Armah. Edward Hayter makes his professional stage debut inTouching the Void. He trained at The Poor School before taking the lead role in films Burning Men and To Dream (both due for release later this year) as well as playing the role of Walsingham in the 2017 TV series Will. 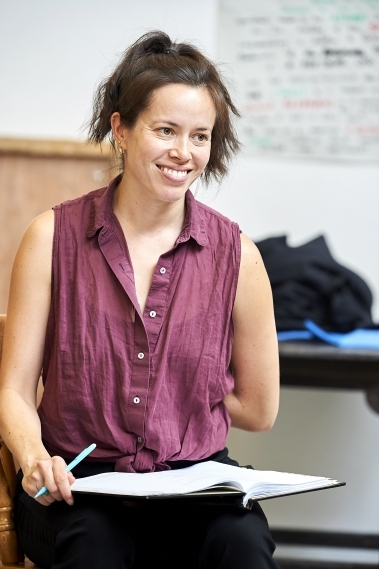 They are joined by Fiona Hampton in the role of ‘Sarah’. Fiona works extensively in theatre, television and film. Recent stage work includes the role of 'Beatrice' in Shakespeare’s Globe’s Much Ado About Nothing, 'Amanda' in Private Lives (Octagon Theatre/Young Vic) and 'Titania/Hippolyta' in A Midsummer Night’s Dream (New Wolsey Theatre). She is best known on screen for playing 'Amelia' in Kingsman: The Secret Service.